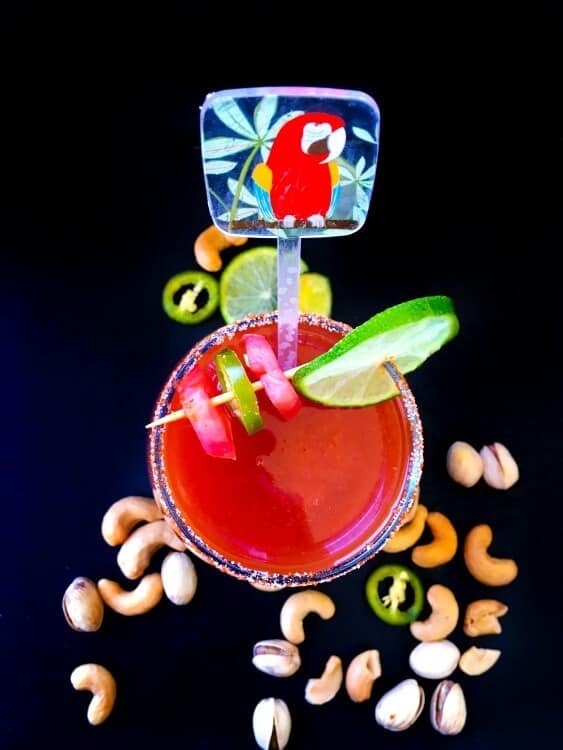 Classic Michelada Recipe: Popular Spicy & Tongue-Ticking Mexican drink to completely please your taste-buds. 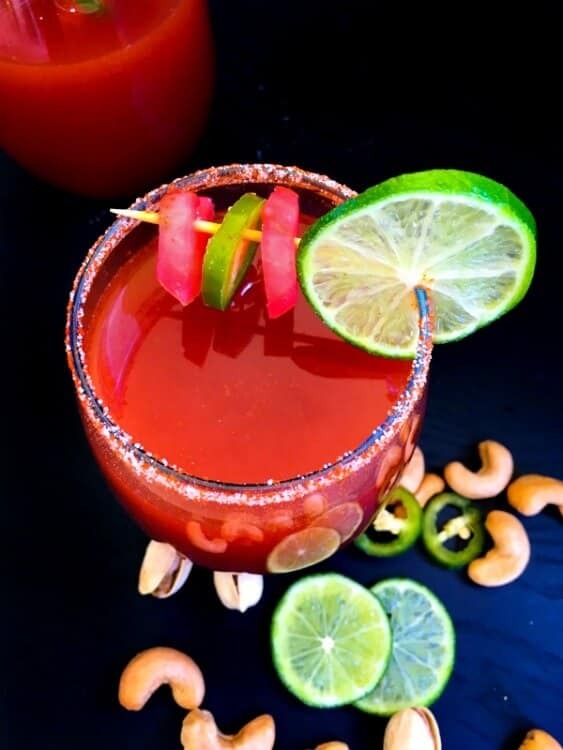 Learn how to make Classic Michelada Recipe with both alcohol + non-alcohol. If you’ve been following my blog, then you might be aware of my love for Mexican Cuisine!!! 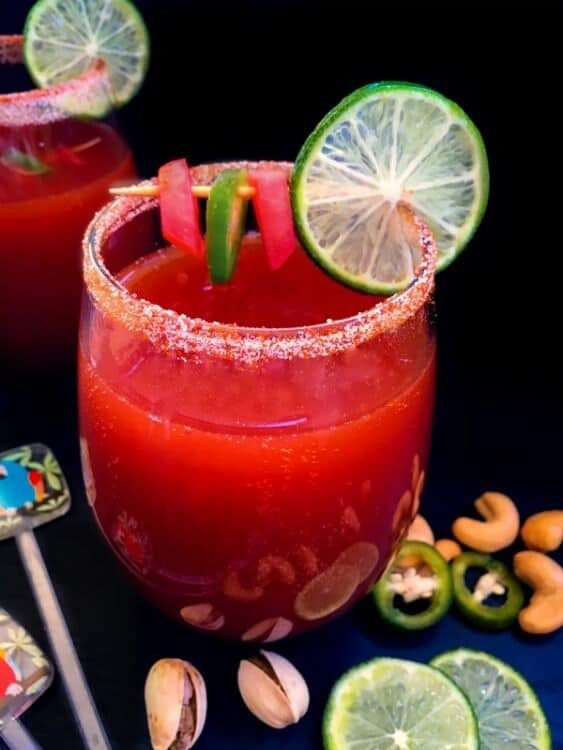 And here’s another mouth-watering drink recipe to add to my Mexican collection – Classic Michelada Recipe – Easy to Make Refreshing Mexican Drink. It’s a perfect combination to Beat-the-Heat any day or just your casual Friday night quick drinks with friends/family. 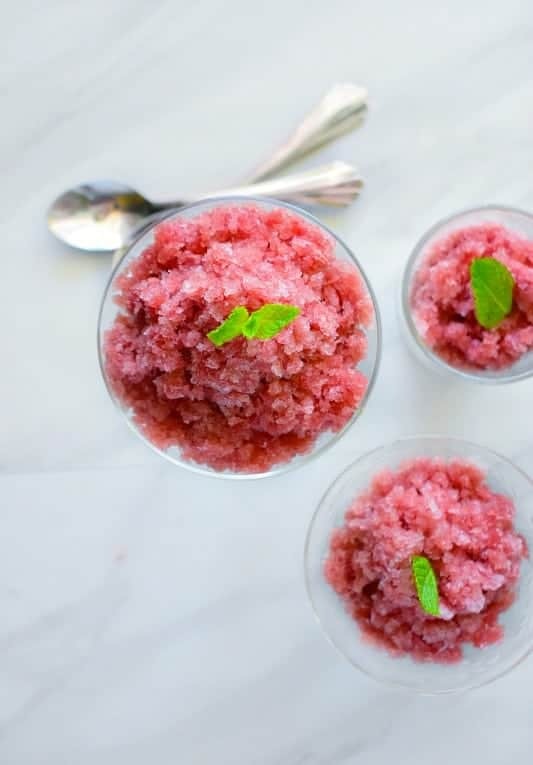 And if you are someone, who doesn’t like too much time prepping or making things, then this recipe is just what you need !!! 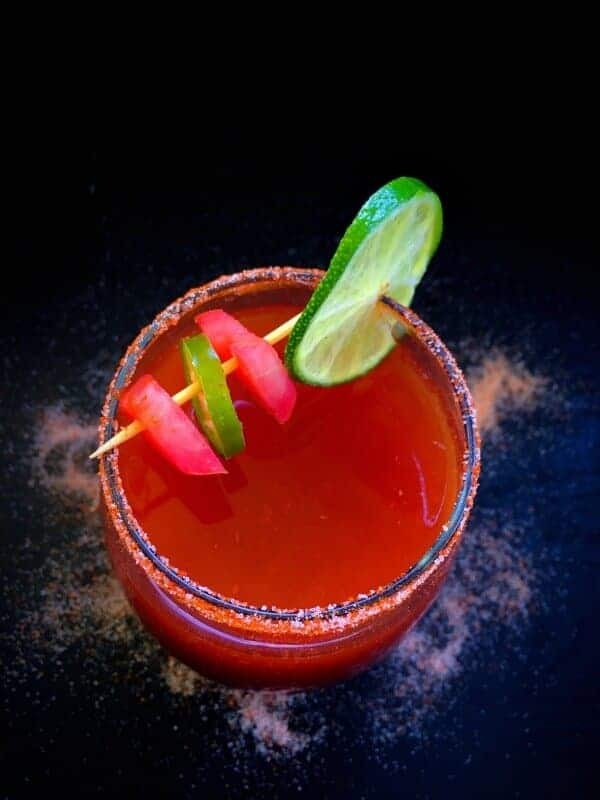 The classic Michelada recipe is served in a salt+chili mix rimmed glass and that’s exactly how we are doing it today. Some recipes are also made using ‘Clamato Juice’ (tomato juice+water+spices+clam broth) instead of tomato juice, so you definitely have tons of options to play around. But here, we are just making a classic version two ways – one with beer and one without. As the temperature hit 90 degrees Fahrenheit for us this week, this Classic Michelada Recipe was the perfect thirst quencher and yes we guzzled both the beer and non-beer version. Now, since, it’s a Mexican drink, I’m using a Mexican beer, however, any light-medium beer is good. Also, with just 5 minutes needed to make this spicy treat, it’s absolutely customizable, you can make it less tomatoey, more beer….ish or less/spicier. 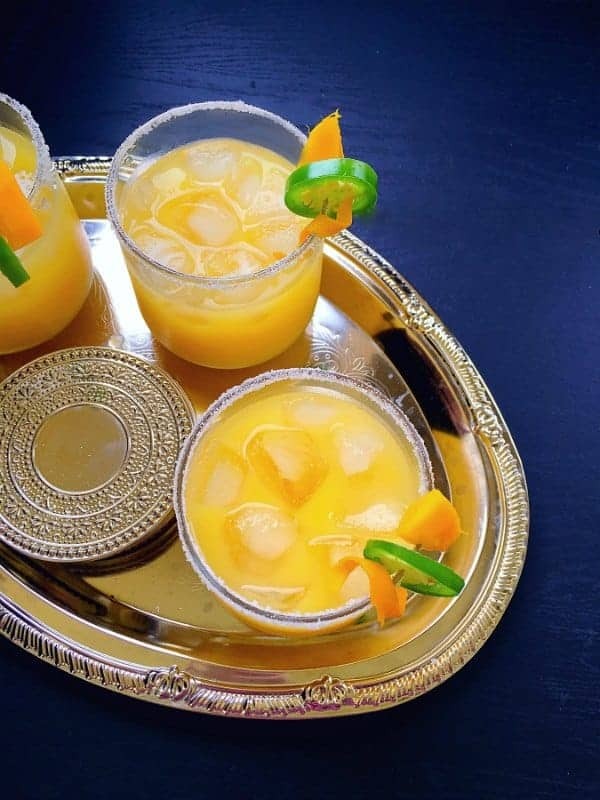 I’ve even made a version with cooked shrimp on top and it goes really well with the spiciness of the drink. Alway’s add the BEER when you’re Ready to Server the Drink for BEST RESULTS. (Please don’t mix everything and store as the beer in it will run flat within few minutes). Easy to make refreshing Mexican Drink made using tomato juice and few other ingredients. Two way's to prepare it. In a medium jar/bowl, mix tomato juice, worcestershire sauce, chili sauce and lime juice. Keep aside. Take the lemon wedge and rub it around the outer circle of the glass rim. Now, roll the rim of the glass in the salt+chili mix, to evenly quote the rim. Keep aside or in fridge. Pour the tomato mix half way in the rimmed glasses (makes 4 glass). Pour the beer over it and give it a quick stir. Take 1 toothpick, add chopped tomato piece and jalapeno. Place the toothpick decoration over the rim of the glasses. Complete the process till all glasses are made. Pour the soda over it and give it a quick stir. 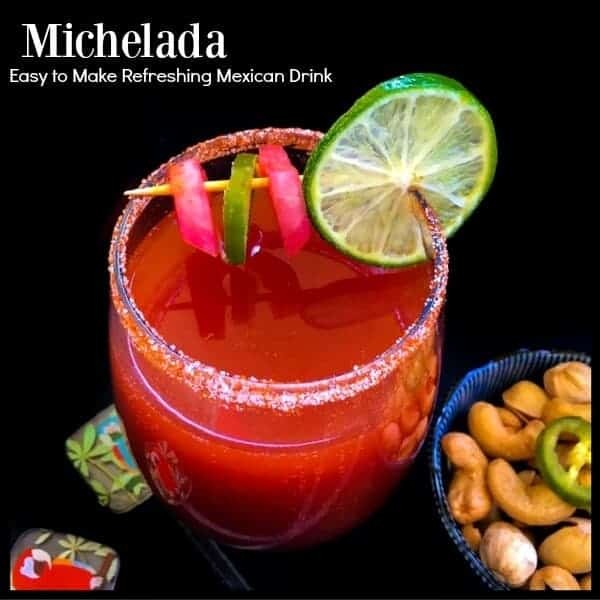 6 Replies to "Classic Michelada Recipe (Mexican Drink)"